50th Birthday Singing Telegram Pirate Style! Warming Up The Audience Before The Maitland Symphony "Concert Under The Stars"
Country Music for an Outdoor 4th of July Pig Roast BBQ Picnic! Tom Evan Has Been Entertaining Audiences For Over 50 Years! Anniversaries, Awards Dinners, Backyard BBQs, Birthdays, Bon Voyage, Car Shows, Casino Night, Church Events, Cocktail/Dinner Parties, Coffee Houses, Concerts, Corporate Events, Fairs & Festivals, Father's Day, Fundraisers, Graduations, Grand Openings, Holiday Parties, House Warmings, Luaus, Luncheons, Memorial Services, Mother's Day, New Year's Eve, Night Club/Lounge, Patriotic Celebrations, Picnics, Pool Parties, Pubs, Restaurants, Retirement Parties, Reunions, Seminars, Sock Hops, St. Patrick's Day, Tea Parties, Trade Shows, Valentine's Day, Wedding Proposals/Rehearsal Dinners/Ceremonies & Receptions, Welcome Home & Wine Tastings! This man does it all!!! I hosted a progressive house party with three other families. Roughly 40 people (ages 40-75) walked from house to house and Tom came along!!! He played for a little over an hour at each house and did not miss a beat! He had the guests engaged and dancing from the first house on. His vast and diverse catalog of songs met the needs of everyone at the party. I would highly recommend him for any type of party. Tom was a perfect fit for our event. His music spanned all genres and his voice is awesome. He also was such a good facilitator for getting people involved in the events. All I heard from everyone who attended was how great he was! Thanks again and GREAT JOB!! Thank you, Christian! It was my pleasure! Good music, on time and very professional. Thank you Tatiana! It was my pleasure entertaining you and your family and friends. I hope to see you again soon! Tom was exactly what I wanted. He was very upbeat and we enjoyed the songs he sang. Great job. 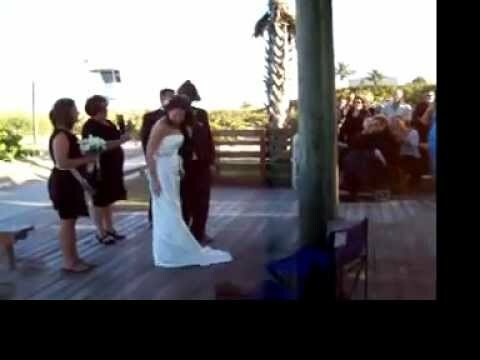 I contracted Tom to sing a couple of songs while I purposed to my now fiance. It was a pleasure working with Tom. He was very professional, easy to work with, and had no issue with the songs I requested. Tom Evan was the perfect compliment to the evening we had planned for our parents 50th Anniversary celebration. It was a poolside dinner party and Tom did a great job of instrumental guitar as well as singing some of our parents favorites from the 50's and 60's, then threw in a little Jimmy Buffet for the "younger" crowd. It was great evening! This man can do it all!! Tom Evan is the consummate performer! He sings and plays in almost every genre, from nearly any time period, and does it all magnificently! He is an amazing guitarist! He gets the audience involved and has a wonderful sense of humor, and a warm, engaging personality. You can tell he loves performing and people never want him to stop once he starts! He is a truly gifted, family friendly, and age adaptable entertainer! Loved by all! Thank you Lana! It's always a pleasure to entertain you and our friends in Daytona Beach! I look forward to my monthly visit there. It's always nice to hear you sing along with your terrific harmonies too! See you in September! On time, great with our guests, played/sang forever and was most creative with his timely and sensitive music selection. Great talent! We'll have him back! Tom is absolutely wonderful!! My residents love him and ask to have him back whenever he entertains for us. His ability to walk around and connect closely with the residents makes his performance that much more special. His laid back attitude and professionalism make him easy to work with as well. Tom Evan is a fantastic Artist, his singing is very good and anything you request is done. We had him for the Brevard British Club 2014 Christmas Dinner, he was great and all our members enjoyed him very much. He is recommended by us and we garantee anyone who books him will not be disappointed. Thank you David! I enjoyed entertaining your club members at your Holiday party and I hope to see you all again this year. P.S. Thank you for the delicious dinner and libations too! Tom had the group clapping and singing along with him. This was a national awards dinner. He added fun and joy to the event. It loosened up the group and made a special night, all the more special. Best investment that i have made in entertainment. I will try to et him again the next time I am in Orlando, even if it is just for my wife and I as we are dining!! Tom played for over 160 individuals at a dinner at an international conference we held in Orlando, Florida. He was wonderful, working with a tough crowd...who had spend all day learning how to protect their families from hereditary cancer. With a big smile, a beautiful attitude and some great showmanship, he had the crowd feeling great, comfortable and upbeat! He was exactly what we hoped for and more....he is an angel and we are so very grateful to him! It was the best night ever...and the best conference anyone could have attended, thanks to Tom and others. Tom and JR did a great job for our event at the Winter Park Farmers Market. They worked very well together and had a vast musical selection to choose from for a tropical theme. This client requested the addition of Steel Drums for their tropical themed event. I contacted a musician that assured me that he was accomplished in this genre. However, his lack of knowledge of repertoire and entertaining experience hindered rather than complimented my performance. My usual spontaneity and flexibility were compromised, resulting in the lower rating than my usual 5 Stars. Regardless, the attendees enjoyed our music, danced and sang along and the event was a great success! I appreciate the otherwise favorable review. Thank you! I can't say enough good things about Tom and the way he came through for me for my father's memorial. His musicianship and professionalism were outstanding, but more than that, he cared about making the service for my father special. I also appreciate that he reached out to the vocalist to rehearse before the event, and it all went flawlessly. And Tom is just a super nice person to work with! I couldn't be happier with the way it all came together. Terrific voice and guitar player! Tom is a very talented and entertaining musician. He has a treasure trove of music in his catalog. We had guests at our party from 4 to 84 and everyone loved him. We will definitely book him again. Thanks Tom! I contacted Tom Evan about delivering a singing birthday telegram 3 days before the event and I couldn't be happier with the result! Tom suggested that we turn the singing telegram into a bit more by offering to dress as a pirate for the pirate-themed 50th birthday party, then suggested adding the Jimmy Buffet tune "A Pirate Looks at 40" with a tweak to make it fit a 50th birthday theme. I live in Alabama and was unable to attend the party in Oviedo, Fl and the feedback I have received regarding Tom's performance has been extremely favorable - they loved him! He even performed an encore of "Freebird" as requested by some of the guests! I personally have never met Tom and was very pleased with his communication with me before and after the event. He kept in constant contact with me on a daily basis, making sure he understood exactly what I wanted from him during the performance and he was a pleasure to work with for this ocassion. I highly recommend Tom for any of your entertainment needs and I look forward to working with him in the future! Tom Evan can do it all!! Tom loves performing and everyone who sees him perform knows it! Besides being an amazing guitarist and vocalist he is charming, witty, classy, reliable and is a consummate entertainer who can captivate any audience in any of his many venues. He is a true professional..the real deal! 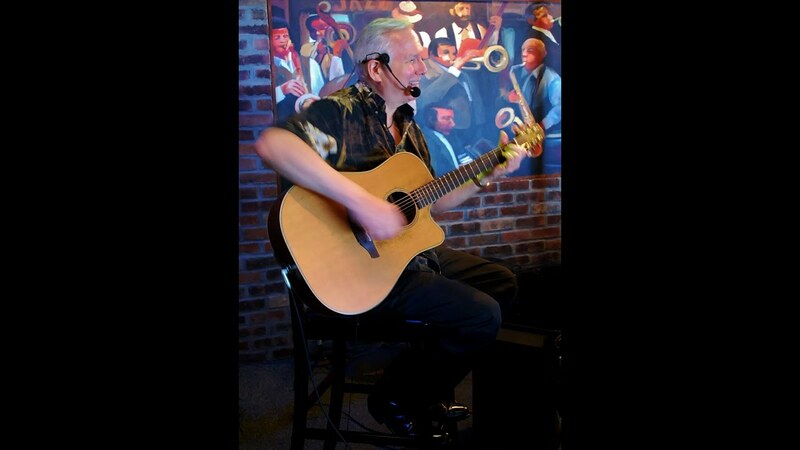 We have followed Tom Evan for several years, and enjoyed his talent at many different venues from nursing homes to blues jams to restaurant gigs and special engagements. Always entertaining and engaging with the audience. his range of music can entertain people with all different tastes. I highly recommend him for any musical entertainment. Tom Evan is a crowd pleaser!!! Tom is a crowd pleaser!!! Great Entertainer - Keeps the audience involved! Tom has played for our club for several years and the members have always been very enthusiastic about his performances. He never shows up late. He plays and sings for a full hour without stopping, and keeps the audience involved the entire time. There is never a dull moment nor lull in the music when Tom entertains our group. We love him and always look forward to having him back. 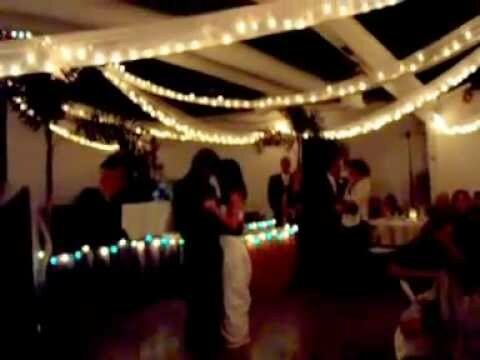 I'm experienced at and able to perform in a variety of settings including soft background music for restaurants, lounges, cocktail and/or dinner parties; in a more "entertaining" mode for backyard barbecues, birthday parties, weddings, anniversaries etc. or actually stroll through the audience utilizing a wireless sound system in a "get everyone involved" mode for social and/or corporate events and sing-a-longs. I possess the repertoire and am experienced at playing at functions for all ages especially "Boomers", "Seniors" and our "Elderly" generation. I am also well versed and experienced at playing for young adults, teenager's and children's parties! I am equipped with professional quality instruments, a state of the art sound system and appropriate attire for any occasion. Born into a close-knit music loving family, my brothers and I had been singing together since we were old enough to carry a tune. Then in 1964, sparked by the Beatles premier performance on the Ed Sullivan Show, I began learning how to play the guitar. Quickly building a repertoire of the popular songs of the era, I was often invited to perform first at family gatherings and school and church events, then at house parties and school dances and later at coffee houses, pubs, frat parties and nightclubs while at college in Miami, Fl and the NJ/NY/PA tri-state area. Since that time I have been honing my skills in an interesting variety of venues. Throughout my career I have performed solo, been a bandleader of my own band and been a member of established Club, Banquet/Corporate Function and Show Bands performing at Nightclubs, Ballrooms, Hotels and Casinos and in concerts at Theme Parks, County Fairs, and Concert Halls from Maine to Miami. 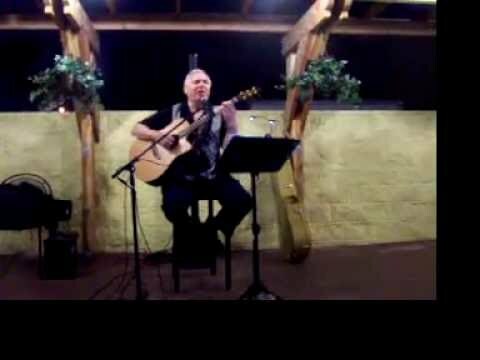 I have now returned to my “roots” as I am back to performing mostly as a soloist at fine dining restaurants, lounges and private parties playing the guitar and singing popular songs from a wide variety of musical genres. 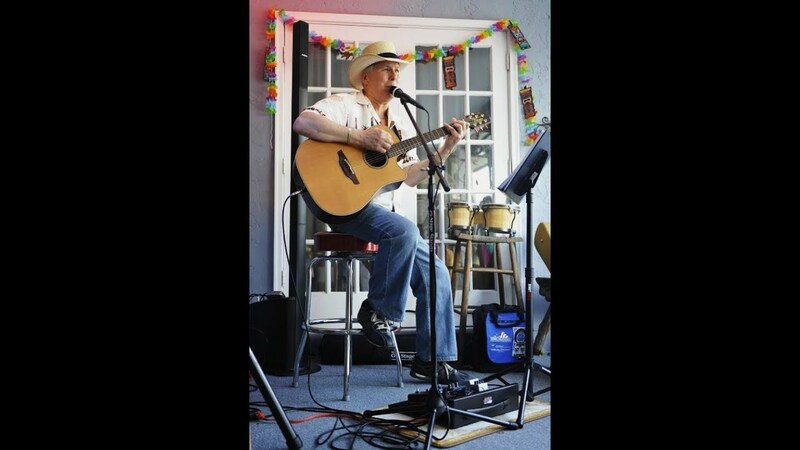 I use a Takamine Steel String Acoustic/Electric Guitar, a Cordoba Classical Nylon String Acoustic/Electric Guitar, Shure and AKG Microphones and a JBL Professional Eon One Sound System for a smooth studio quality performance. April 01, 2017 • 5:00pm - 8:00pm Pub Grand Opening, Del Webb Ret. Community, Orl. March 31, 2017 • 5:00pm - 8:00pm Pub Grand Opening, Del Webb Ret. Community, Orl. My repertoire spans the decades including music from the 40’s, Big Band, Swing, Frank Sinatra, Tony Bennett, Nat King Cole, popular music from the 50’s, 60’s and 70’s including Oldies But Goodies, Doo-Wop, The Duprees, The Platters, The Skyliners, The Four Freshmen, The Lettermen, Elvis Presley, Bobby Darin, Dion, The Kingston Trio, Peter Paul and Mary, Bob Dylan, Simon and Garfunkel, Gordon Lightfoot, The Beatles, The Eagles, Don McLean, John Denver, James Taylor, Van Morrison, Jim Croce, Glen Campbell, Beach Party and Island Music including Jimmy Buffett, The Beach Boys, Bob Marley, Harry Belafonte, Caribbean and Hawaiian Music, Latin American Music, Italian Music including Jerry Vale, Dean Martin, Perry Como, Julius LaRosa, Mario Lanza, Sergio Franchi, The Gaylords and more, Country Music including Hank Williams, George Jones, Johnny Cash, Eddy Arnold, Conway Twitty, Merle Haggard, Ray Price, George Strait and Randy Travis. Songs from Popular Movies, Broadway Showtunes, Irish, Holiday music and more. Every style of music I've ever heard beginning with children's songs, my parent's favorites, my grandparent's favorites, the music on the pop radio stations I've listened to all of my life including everyone's favorite's in Easy Listening, Soft Rock, Pop, Country, Italian, Latin American, Caribbean/Island and Light Jazz Standards.